This is a demonstration of the Link DSO 2102m Digital Sampling Oscilloscope, a PC-based 2 channel scope from 1997 era. The scope uses the ThinkPad 600e’s parallel port for communication and control and puts a nice display onto the ThinkPad’s screen. 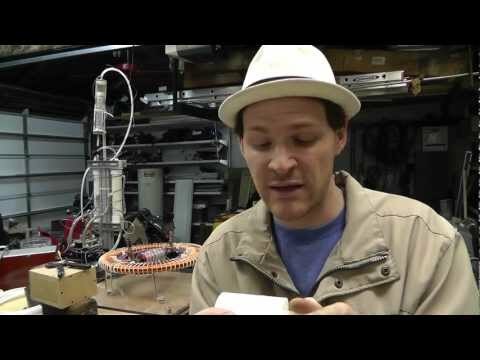 I show the scope’s basic functions and use the Rosemary Ainslie – Donovan Martin claimed overunity circuit as the Device Under Test (DUT) for the demonstration. 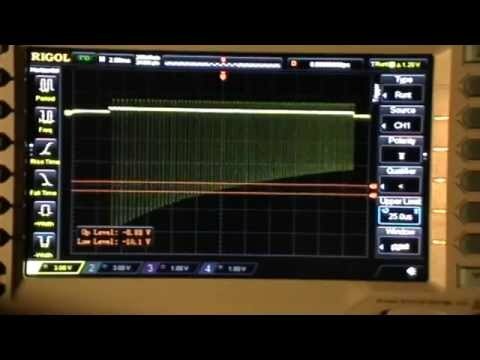 In this first Part, I demonstrate that the Q1 begins conducting significantly well before a Gate drive voltage of +4 volts is reached, further confirming that Ainslie’s Figure 3 scopeshot and other claims of “no battery discharge” using Gate voltages of 4 volts or more are bogus. In the next Part I’ll show how to use the FG’s DC output facility to allow the Ainslie circuit to oscillate continuously with no Q1 ON time at all. I’ll also demonstrate how the Vbatt oscillation _measurement_ changes significantly depending on the location and inductance of the Battery Voltage and Load Current monitoring positions and probes. This latter demonstration once again shows that NONE of the current monitoring data in the Papers of Donovan Martin and Rosemary Ainslie is valid.